School Management System to be designed will be a web based application a total school management system using object-oriented multi-tier architectures that can be imagined. The first truly scalable, windows-based school management web based solution with the power to revolutionize the way that school can run. School Management System will be designed to improve the way the school is managed and a step ahead to wards the goal of paperless as of full automation of school administration. School Management Solution has the entire functionality required for any educational institution. It is an interactive platform for all entities viz. Students, Teachers, Management, Trustees, Parents. It is a simple yet powerful one point integrated platform that connects all the departments of an institution namely office administration: - time table - examination- student information - certification - reports generation - result generation, fee counter, library, canteen, pay roll, vendor, accounts, inventory and so on. The system helps educators to manage, analyze and report extensive data, while saving time by eliminating repeated data entry. It is a complete solution for management of educational institutions, covering all the aspects of educational business, including administrative, accounting and key academic activities. 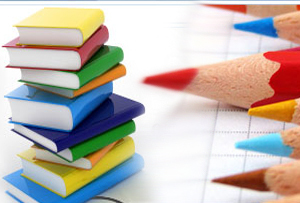 It centralizes the complete data and automates all the routing educational institutes’ functions. The key to success of the school management system is the central data storage structure which helps the administrative staff to access student data in each and every module, hence data entry is done once and it is used at all places, more over due to the central store of data redundancy is removed and 100 % correct data is available to the administrative staff at any point of time. The school management system automates most of day to day task and hence increases the productivity and performance of the administrative staff which leads to better valued image of the school before the parents and society. The biggest question is why does school require an ERP?? They are not corporate which do require ERP for better management of the resources. The corporate are the Multi National Companies which have resources spread in multiple companies and so they require to effectively manage their resources effectively. So the question still remains unanswered why do we require a ERP for the school. The answer to this question is very simple - Like "Multi National Company" a school is also a organization which has lot of resources spread up in all direction - namely student, teachers, administrative staff, clerks, school premises. For an effective and proper management of the school management of all this resources is highly important. For proper management of any institute it is very important to have a very well advance plan of - How to utilize the resources. The School Management System - ERP provides that platform which facilitates in effective management of the school. The central management of the school is very important as it removes the redundant tasks that are carried at the institution. The central data storage leads to easy access of data at all departments which removes the redundant administrative tasks of generating the data when ever required as the data is ready for use instead of building the data every time it is required. Education In today ,s world, administration & management of organizations, particularly educational institutions, has become a tedious and complex task. It requires careful planning, systematic approach and accurate control of administrative processes to attract the best students, produce best results and project the best image. Coupled with tight competition from the industry, these institutions are increasingly seeking the help of information technology to improvise their facilities and maintain a competitive edge to their educational business. Welcome to the extremely efficient, systematic, sophisticated yet user friendly automated System of e-Campus, School Management System, e-Coaching , College Management Software.